The A/C Clutch is an electromagnetic device that engages and disengages the AC compressor pulley from the compressor drive. The AC compressor is a pump that is driven by the engine crankshaft through a belt pulley. However, the compressor needs to run only when the air conditioner is turned on. The A/C clutch is fitted to the fan belt pulley. When the AC is turned on, the clutch is energized and it engages the armature plate of the compressor drive and the compressor belt, making the compressor drive rotate at the same speed as the engine. When the clutch is de-energized, the A/C clutch disengages the belt pulley and the compressor drive to stop the compressor. The A/C clutch can fail if the windings in the electromagnetic device get overheated or damaged. Over time, the clutch plate can also become worn, causing the clutch to slip and fail to engage the compressor drive. If your air conditioner does not run when it is switched on, it is a possible indicator of a bad clutch. 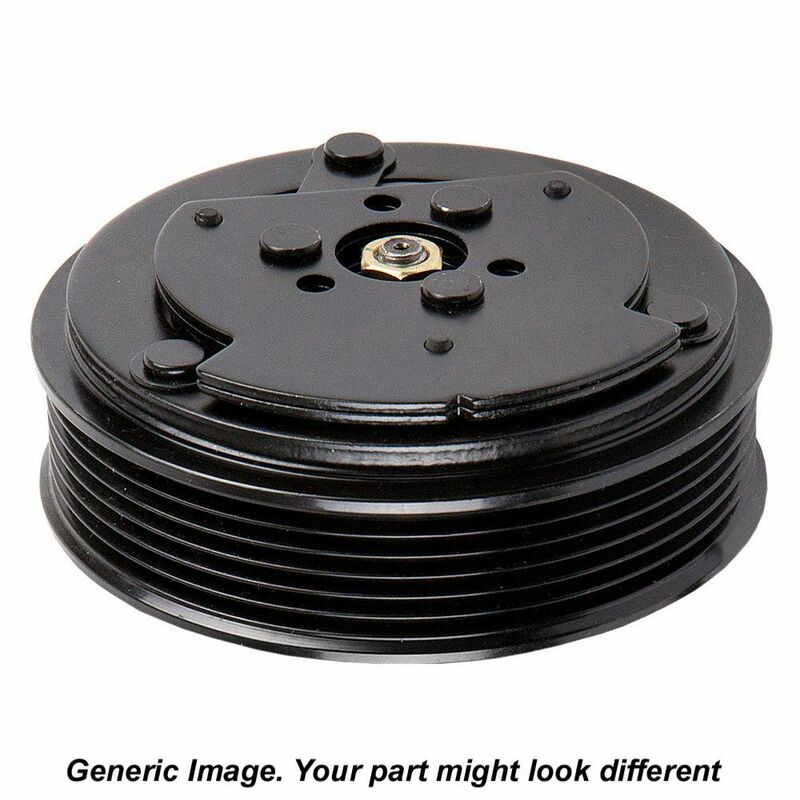 You should replace a faulty AC compressor clutch at the earliest. At Buy Auto Parts we stock a wide variety of A/C Clutches for every car make and model. We have genuine OEM replacements and premium aftermarket parts. All our car parts are thoroughly tested and come with a warranty. To view the parts that fit your vehicle, select the right year, make and model of your car on our online catalog. At Buy Auto Parts you will find high-quality A/C Clutches at unbeatable prices, and free shipping. If you have any questions about our car parts online, call our toll-free support line 1-888-907-7225 or email us at [email protected].